It’s been a nice day, the sun is slowly setting and it’s starting to cool down. 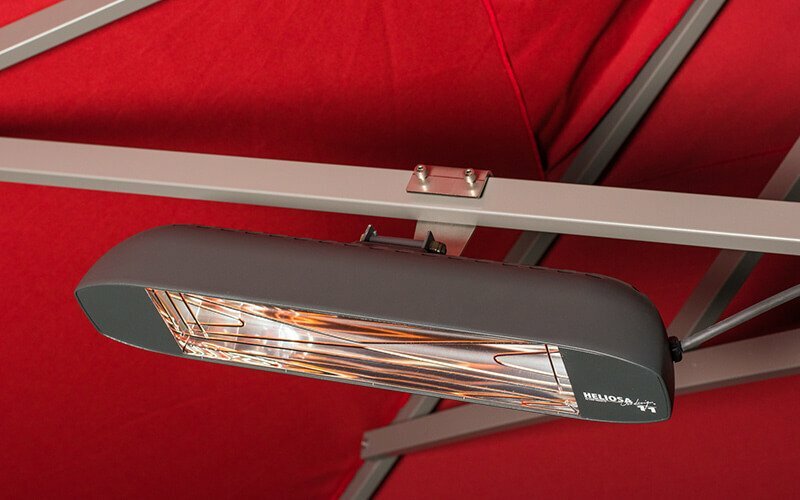 With the help of heating and lighting we can bring back the sun for a little while on the patio or in your backyard. 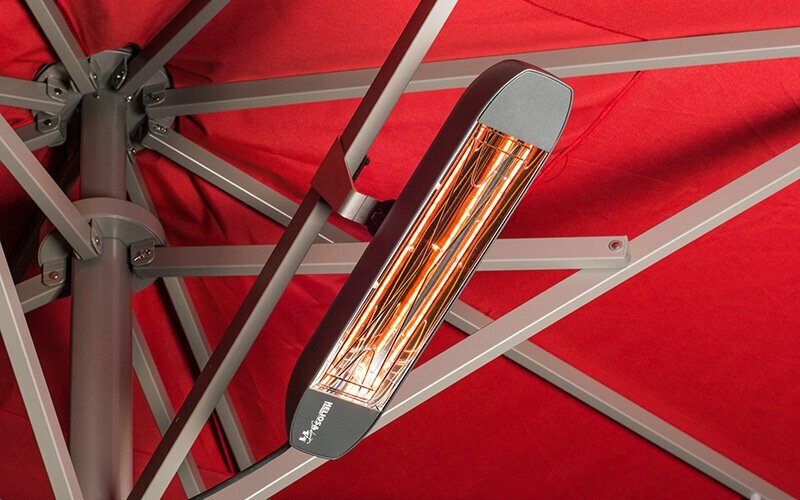 Our patio heaters are perfect for use in hospitality but are also available for consumers. They create a comfortable atmosphere and are available in multiple colors, the design isn’t ostentatious but looks stylish. 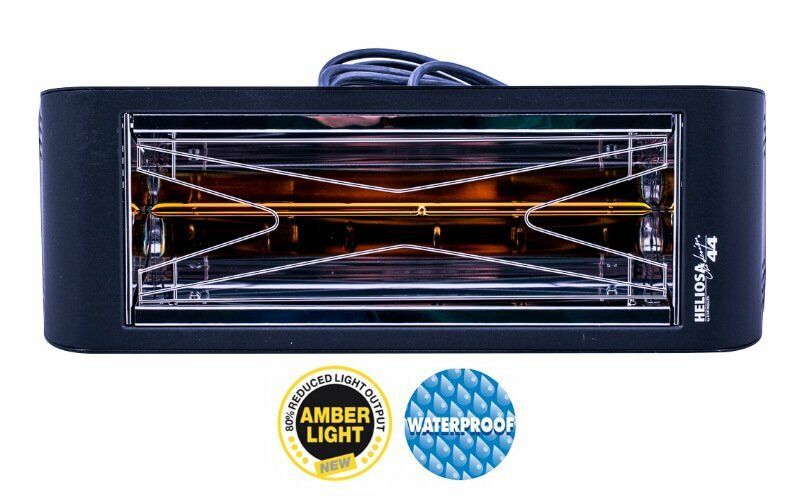 The great thing about infrared lights is that they warm people, instead of air, this means there’s no lead to build up heat and effective heat is created immediately after turning it on. An added advantage is that 92% of the electricity is converted to heat. 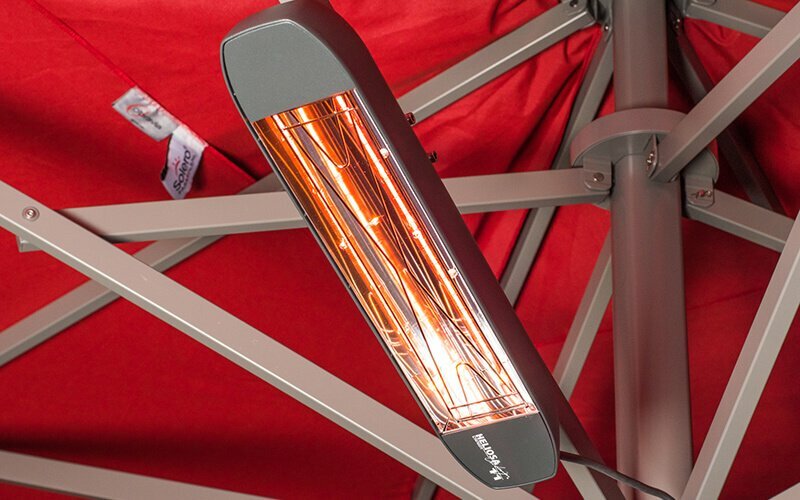 The heaters are easy to install, easy to direct and suitable both in- and outdoors, the machine is lightweight making it very easy to move. We also thought about the environment, working with infrared means there’s no exhaust gases; there’s no use of oxygen after all. There’s no (direct) CO2 emission and while in use there’s no pollution or noise through air- and dust circulation. 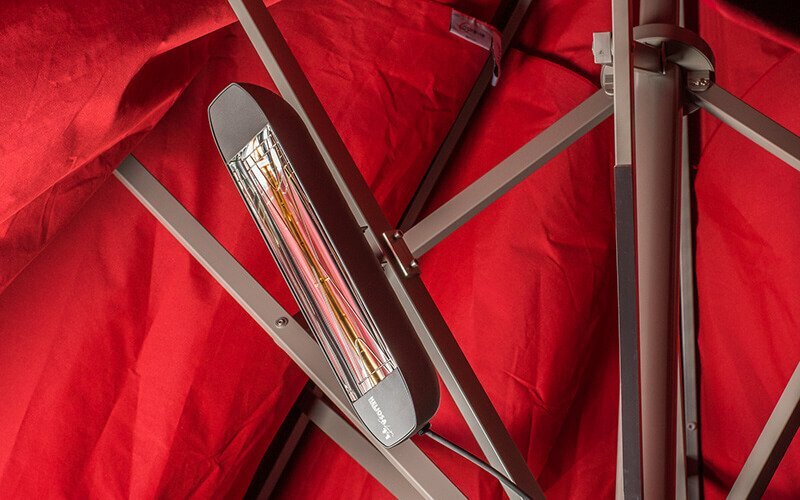 The heaters are splash proof and made of weatherproof aluminum, the special isolation prevents overheating of the housing and the grate at the front prevents touching of the halogen lamp. There’s no blinding through the use of filtered lamps. Each lamp has around 5000 hours of use. 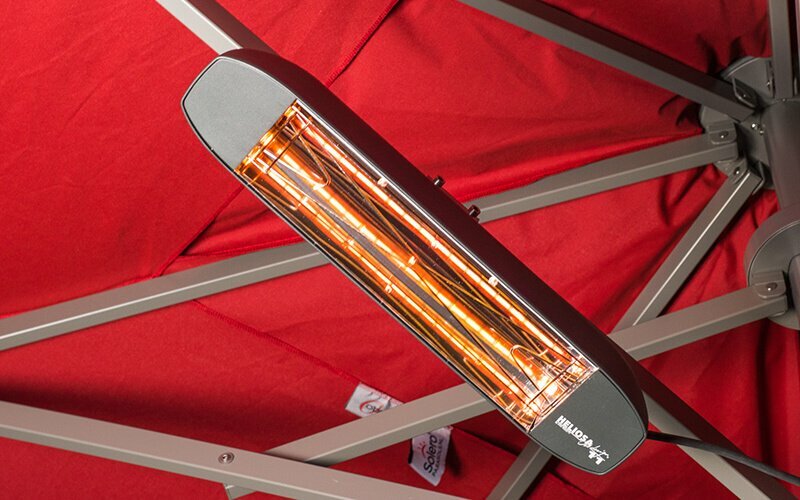 The new Solero Heliosa 66 is a waterproof (IPX5) heater with a 2000 WATT amberlight bulb. 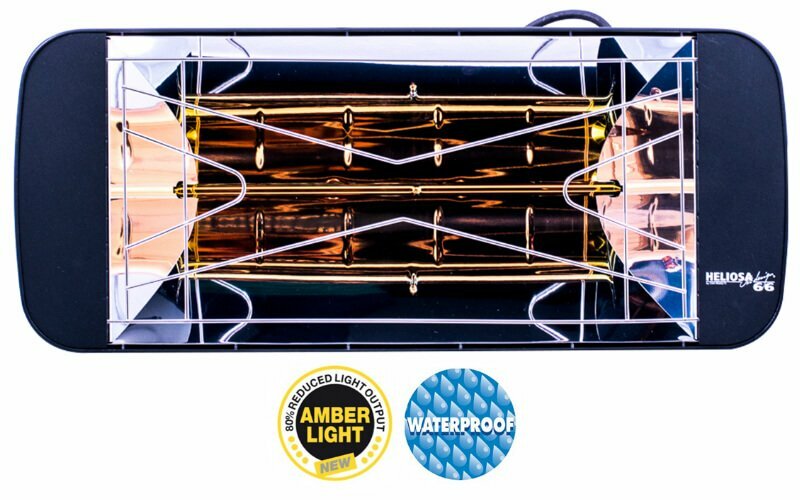 Amberlight has 80% less light output than standard heating elements, and creates a pleasant atmosphere. A 5 meter cable is included. The parasol bracket can be ordered separately. For heating areas 20-25 m2. 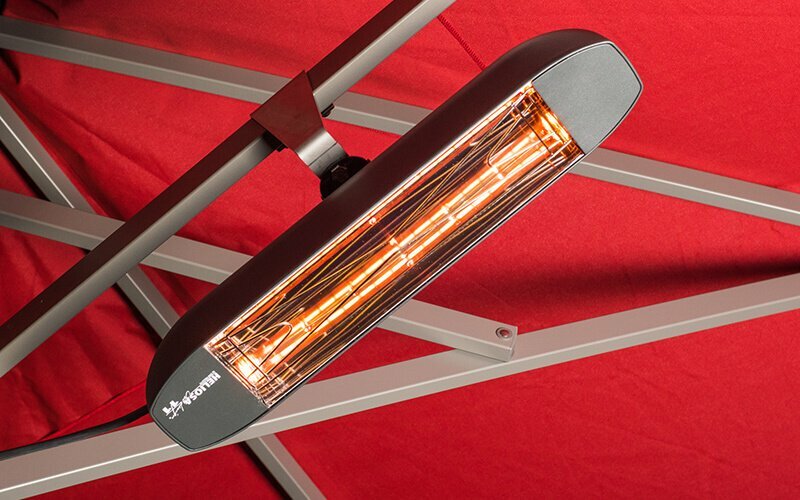 The new Solero Heliosa 44 is a waterproof (IPX5) heater with a 2000 WATT amberlight bulb. 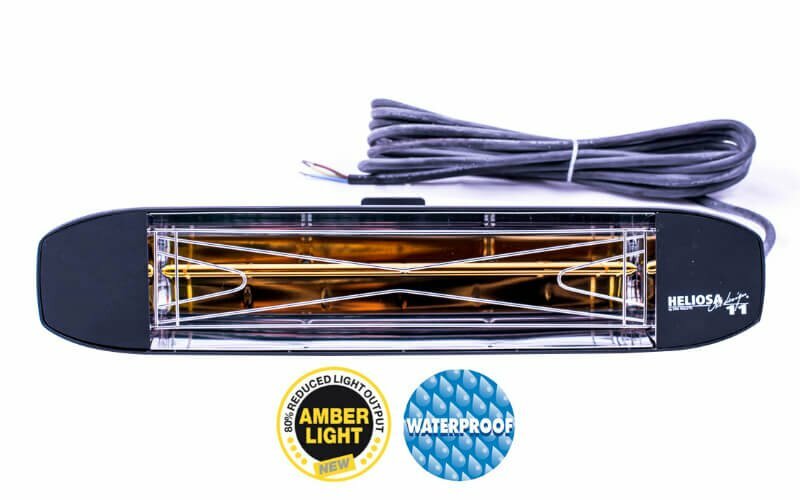 Amberlight has 80% less light output than standard heating elements, and creates a pleasant atmosphere. A 5 meter cable is included. The parasol bracket can be ordered separately. For heating areas 15-20 m2. The IP (International Protection Marking) classifies and rates the degree of protection provided against intrusion (body parts such as hands and fingers), dust, accidental contact, and water by mechanical casings and electrical enclosures. The infrared lights are reliable up to 5.000 hours lamp life. 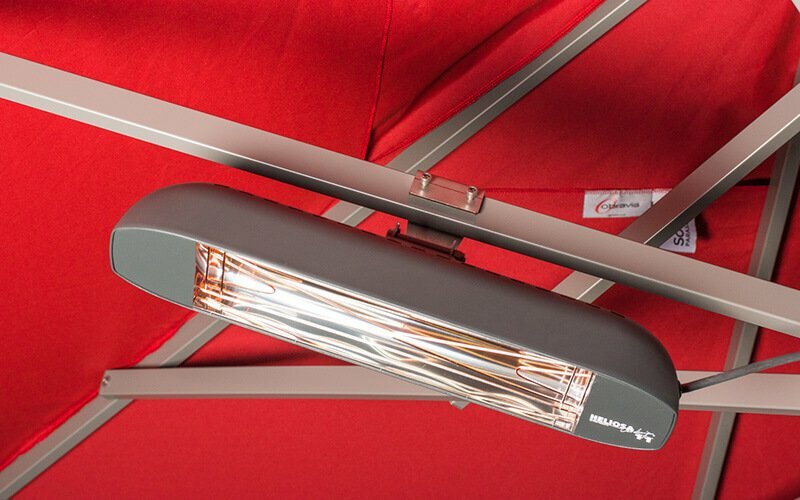 Flexible mounting onto a wall, ceiling or parasol.